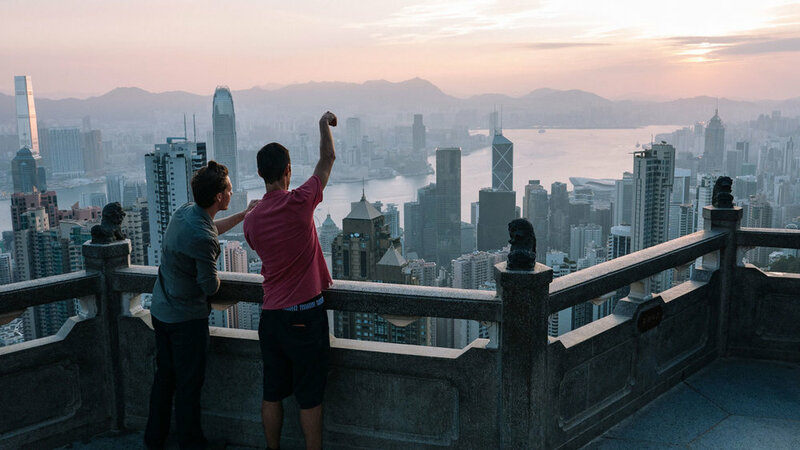 As keen explorers ourselves we know that it is often difficult to know what to see and do, especially in cities like Hong Kong where there are endless possibilities. Take a private customised walking tour and we will put an itinerary together that ensures you see the things that will interest you the most and at a pace that suits you. Our customised private tours of Hong Kong last from 4 to 8 hours; your tour length is your choice. You can start your tour at any time from 8 am to 6 pm allowing you to book a day tour or a night tour. Flexible tour designed around your interests. Hotel pick-up. Available day and night. 4 to 8 hours. We can combine some of the must see’s like Victoria Peak and riding the Star Ferry with something a little more off the beaten track to ensure that you see Hong Kong for what it really is; a city of contrasts where the metropolis sits side by side with national parkland, where the super-wealthy walk shoulder to shoulder with people living in poverty, it is a city where east truly does meet west like in no other. If you are a foodie but do not want to do our full food tour we can combine foodie elements into your tour, ensuring that you still get a wonderful mouthwatering taste of Hong Kong. If you would like to pick up some souvenirs en route we can show you our favourite markets. Or perhaps you have something specific which you would like to buy, let us know and we will make sure that you do not leave Hong Kong without it. Perhaps you are a budding photographer and would like to visit the most photogenic locations. We are very experienced in designing and delivering tours for couples, families with teenagers, families with young children, business travellers who have a short amount of time between meetings, the over 60s and corporate incentive trips. We also provide orientation tours for ‘fresh off the boat’ expats and we work with several universities in the US, Europe and Australia to provide educational student tours. Whatever it is we will ensure that your customized tour is exactly what you are looking for. We do accept last minute bookings so if you are already in Hong Kong please do contact us for our availability. Children aged 11 years and under are free of charge. Anyone aged 12 or over is counted as a full person. For numbers over 8 people please add HK$300 per addition. Prices listed include the costs of public transport used during your walking tour (MTR, bus, tram, ferry) but not the costs of any taxis which you may choose to use. Prices do not include entrance fees (if any) or any food/drinks which you choose to buy during your tour. If you have 6-hours or more between flights make the most of your time and book a Hong Kong Airport Layover Tour with us. Book the tour as your Hong Kong Shore Excursion and we guarantee that the best tour of you cruise will be the one that you take with us. We cover the following topics on every tour, how much detail we go into depends on how interested you are in each topic! Colonial History, Opium Wars, WW2 History, Politics, Current Affairs, Day To Day Life Of The Average Hong Konger, Poverty, The Housing Crisis, Religion, Education, Food, Architecture, Language. LENGTH: 4 to 8 hours. STARTING POINT: We will pick you up at your hotel, cruise ship, the airport or if you have other plans before the tour we will come and meet you somewhere. FINISHING POINT: We can take you back to your hotel, cruise ship or if you have something else planned we can drop you off where you need to be. WEATHER CONDITIONS: All tours takes place as scheduled except under Red/Black storm warning or Typhoon #8 or above. For up to date information see the Hong Kong Observatory website.